China’s trade surplus jumped to $11.4 billion in April, after the country posted its first quarterly deficit in seven years in the first three months of the year. Year-on-year import growth slowed to 21.8% in April, while export growth accelerated to almost 30%. The unexpectedly high surplus was announced as representatives of China and the United States were meeting in Washington and gave further support for calls from the US for China to boost domestic demand through currency appreciation and other measures. Chinese regulators have imposed a 2 million yuan fine ($308,000) on global consumer products company Unilever for “causing market disruptions” after a company representative revealed to reporters that Unilever was considering price hikes in response to rising input costs. The revelation prompted a run on Unilever products. Chinese regulators have struggled in recent months to slow inflation, implementing a series of rate increases and price controls. China’s consumer price index (CPI) grew 5.3% year-on-year in April, down from a 32-month high of 5.4% in March. Chinese clean-tech company Nobao Renewable Energy Holdings has revived plans to list in the United States after the European sovereign debt crisis forced it to shelve IPO plans last year. The company specializes in environmentally friendly heating and cooling systems and hopes to raise $300 million in its IPO on the New York Stock Exchange. China in March set a goal to meet 15% of its energy needs through renewable sources by 2020, up from 8% currently. A May report by the World Wildlife Fund ranked China first in overall production of clean technology and second behind Demark in production as a percentage of GDP. 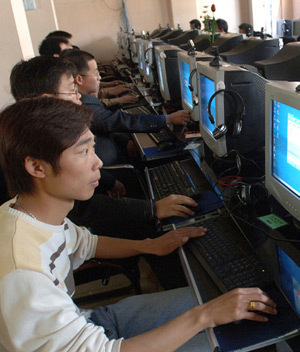 China announced plans in May to create an office to monitor online content. According to state-run Xinhua News Agency, the State Internet Information Office will coordinate efforts by various government departments to manage online content. The announcement comes amid a general tightening of political controls after protests destabilized governments in the Middle East.